The best way to prepare for life is to begin to live. Hi! I love the color of your nails in those photos! Can you say what nail polish it is? Gorgeous look, darling! Love that skirt! Ohhh delmy I love your shoes! It's a riddle why don't have aldo here :( Great nail polish too! LIVE LOVE LAUGH, those words are written on my wall at home :) love your blog by the way! check out http://thefashionzone.blogg.se for more fashion and inspiration! Great look. That skirt just look perfect on you. And the color is fabulous. I love the shoes too. You know, you remind me of my aunt. Are you Puertorrican by any chance? lovely scarf, skirt and shoes! adorable! Delmy, hay que ver que look más bonito, que clase tienes no hay duda de que sabes elegir, bueno yo escribo en español, espero que lo entiendas, si no es así te ruego que lo digas y me perdones, procurare traducirlo al idioma de tu blog. 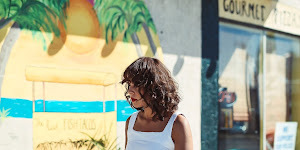 Me encanta visitar tu blog. I love this outfit especially your bag and your shoes as always ! OMG You are so gorgy!! I love love love the leopard scarf and he skirt!! kudos! this is an awesome look from head to toe, you look fabulous! This outfit is perfection and your waist is so tiny! I think that it's one of your best outfits! I feel in love with your green skirt! it's from these season? aaaawww u look so pretty - i love this outfit - tres chic! I agree, this is my favourite outfit of yours, suits your colouring perfectly. Love this outfit. So girly! You look gorgeous! Ooh! I love that skirt. i love this entire outfit...like head to toe perfection!! You definitely knocked it out of the park with this one. Adorable! LOVE! so simple, yet interesting and overall, well put together. Wow. I love that skirt with the leopard scarf. You look amazing, as always. So beautiful!!!!! I love this entire look especially the scarf & the skirt!! You're stunning!!! Amazing post as always!! I love the shoes, especially in accord with the tights. This is a breathtaking outfit! I particularly love the wonderful colors! Thanks for the sweet comment on my blog, too. gorgeous as usual thx for the amber comment!! although its more a dream than reality lol!!! delmy, you have got to do a video tutorial on this look!!! your makeup looks so amazing, what products have you used? as always you look gorgeous! your makeup is infinitely perfect !!!! You look so pretty! Love your leopard scarf and your skirt! And those shoes are to die for!!! and you are also dressed very well. wow i might ad. very nice. your skirt it's fantastic, I love green!! is one of the best of you ;) Love the skirt and the touch of the scarf is simply perfect! that scarf is from Zara? i'll go for it! it looks amazing on you. wow...looking gorgeous Delmy!!! LOve love love the color of that skirt!!! U look great as usual!!!!!!!!!!!! I sent an email to the address you have listed! Hope you mail me back soon! You love PERFECT! Almost like a doll! FAB! Just voted for you! You look awesome!! Love the scarf! Lovely, great combination. And love the nailpolish too! Thankyou so much for your lovely comment on my blog! I absolutely love this outfit, and might I say, girl you are stunning! so so cute. i love it. it's perfect. 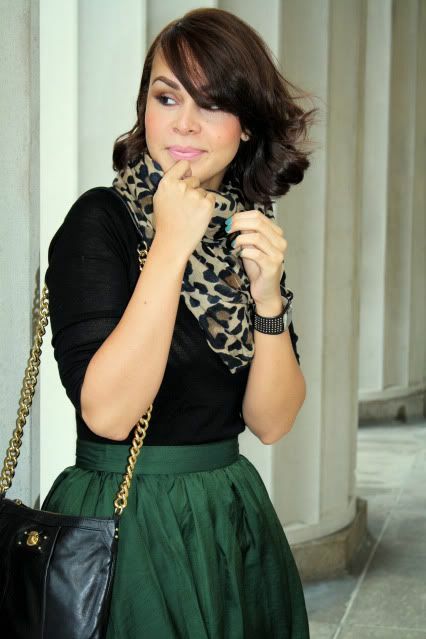 your makeup is flawless and I love the green skirt with that scarf! OMG love love love the scarf! I have been trying to find one like that, but none convinces me. you have gorgeous style. love the leopard! such an absolutely GORGEOUS COLOUR GREEN!!! LOVE LOVE LOVE!!! The and scarf is amazing! And I need that nailpolish! i love ur blog soo much ! I've already put you up! OMG! 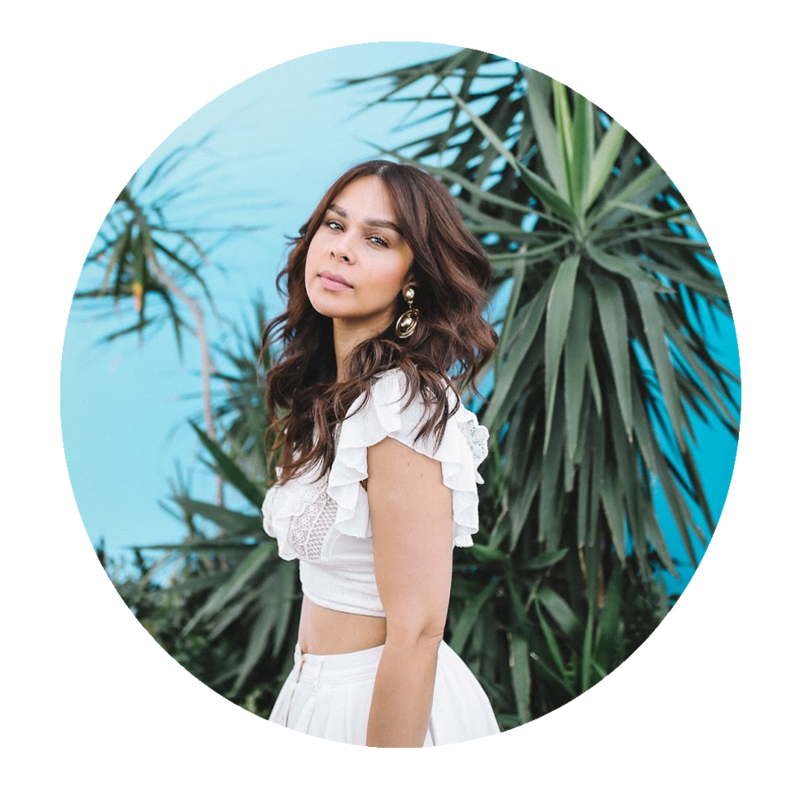 I fell in love with your blog. Great style babe! Your outfit is gorgeous!!! I love everything about it! 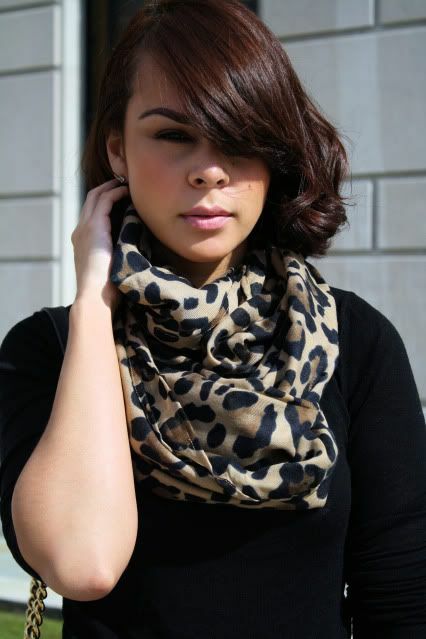 The little leopard scarf is definetly the fierce factor along with your shoes! Amazing color coordinations! U look so tres chic! I am so in love wit your hair, the scarf + the skirt! So well put together. I love love love this look! Your pics seems sharp all of a sudden. Perhaps you have a new camera? love the green, the color looks amazing on you! you look stunning as usual - i can't believe that skirt is from h+m! i LOVE it. one of your best! love this outfit, the colours and the shape. You rock it!!! Leopard accents are the best! 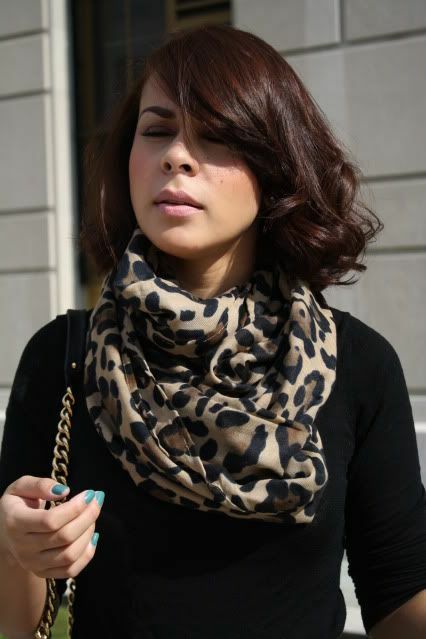 I love your scarf here- it kept the outfit playful while maintaining sophistication! Cute! I love this look! Do you mind if we use it in our style guide? We would like to you of course!